Two hundred years ago, on March 28, 1814, the American warship Essex engaged in a climactic life-or-death battle off the shore of Chile—and on board was David G. Farragut, then only twelve years old. Born in Tennessee as James Farragut, he was the son of Revolutionary War veteran and U.S. Navy officer George Farragut. When James was seven years old and living with his family in New Orleans, his mother cared for naval officer David Porter Sr. during his final illness. Shortly after Porter died, James’s mother succumbed to yellow fever and, in gratitude for the Farragut family’s treatment of his father, Captain David Porter Jr. offered to adopt the lad and sponsor his naval career. In December 1810, a mere nine years old, James was appointed as a midshipman in the U.S. Navy. (Midshipmen at the time were usually twelve to eighteen years old.) At some point he changed his first name to that of his adopted father. 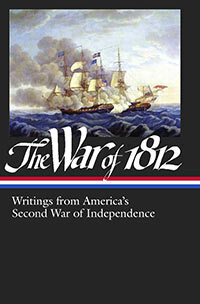 During the War of 1812, unable to compete with the superior British Navy, the fledgling American fleet adopted the strategy of raiding and capturing British commercial vessels. Captain Porter was perfectly suited for this type of warfare, having fought against French and Tripoli pirates during the so-called Quasi-War at the end of the eighteenth century. Young Farragut was assigned to the USS Essex, under Porter’s command, and in late 1812 the frigate rounded Cape Horn and became the first American warship to sail in the Pacific. During the following year, Porter and his crew seized a total of twelve British ships, and after one capture, twelve-year-old David was appointed commander of the prize and sailed it back to harbor at Valparaiso. Near this same harbor the Essex finally met its match when the ship lost its topmast and was cornered by two British warships. [T]he American Captain continued to fight his crippled ship against a greatly superior force; and when, at last, it became physically impossible that he could ever be otherwise than vanquished in the end; and when, from peculiarly unfortunate circumstances, his men merely stood up to their nearly useless batteries to be dismembered and blown to pieces by the incessant fire of the enemy’s long guns. . . . I seek not to underrate any reputation which the American Captain may have gained by this battle. He was a brave man; that no sailor will deny. But the whole world is made up of brave men. . . . Nevertheless, it is not to be doubted, that if there were any common-sense sailors at the guns of the Essex, however valiant they may have been, those common-sense sailors must have greatly preferred to strike their flag, when they saw the day was fairly lost, than postpone that inevitable act till there were few American arms left to assist in hauling it down. Notes: A paddy in the cat-harpins is a jack-of-all-trades. (Catharpins are ropes or iron cramps used to brace the shrouds on a ship. See an image here.) During his narrative, Farragut refers to the Essex Junior, which was a British whaler captured the previous year and rechristened by the Americans to assist in their attacks on British vessels. During the action I was like “Paddy in the cat-harpins,” a man on occasions. I performed the duties of Captain’s aid, quarter-gunner, powder-boy, and in fact did everything that was required of me. . . . If you don't see the full selection below, click here (PDF) or click here (Google Docs) to read it—free!